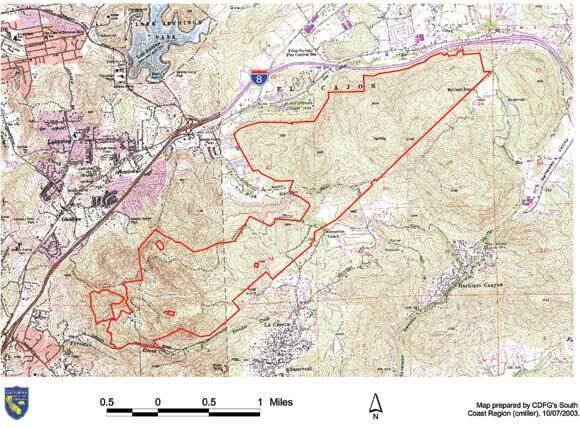 Length of Trail: The trails map describes 3 miles of trail but it can be expanded into over 20 miles. Staging Area: The staging area is located at the west end of Horsemill Rd., Crest, CA 92010. There is parking on the street outside of the reserve for several trailers and space to turn around in the cul-de-sac. There is a portapotty and access to water in the preserve. Directions: To reach the main entrance, take Highway 8, exit at Greenfield Drive and head southeast. Turn left on La Cresta Road, left on Mountain View and left on Horsemill Road. Park on the road. You enter the reserve at the end of the cul-de-sac. Trail Conditions: There is a well-made 4 mile perimeter trail with beautiful panoramic views. Trails lead northward from the perimeter trail to Flynn Springs. A fire road off the perimeter trail to the west goes all the way to Lake Jennings Park Road south of Highway 8. 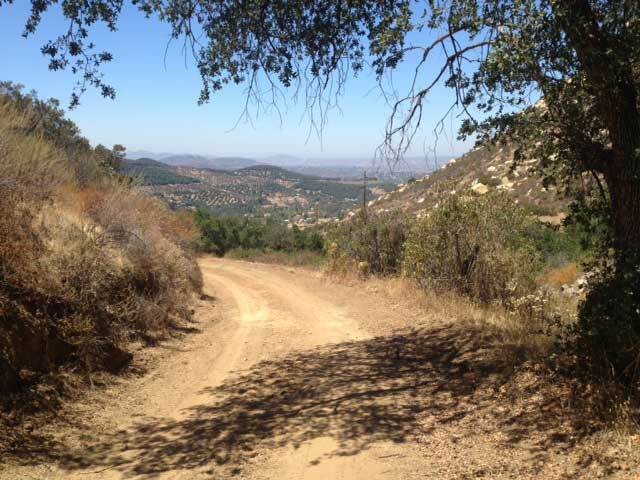 Trail Users: The trail is open to hikers, horseback riders and cyclists. Dogs are permitted on a leash. 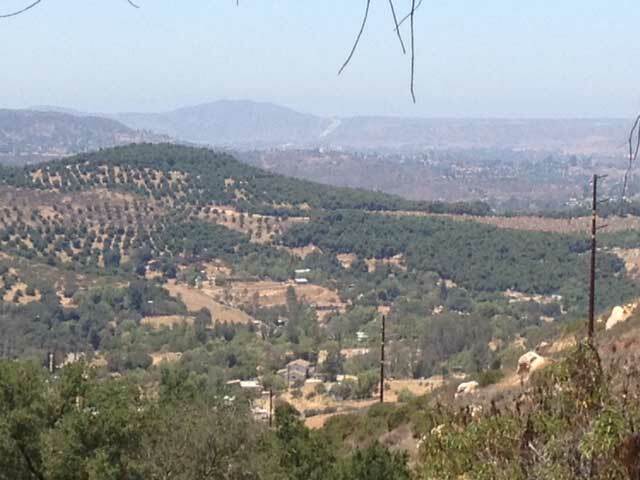 The 2.638 21 acre reserve is bounded on the north by Interstate 8, on the east by Harbison Canyon, on the south by Mountain View and La Cresta Roads and on the southwest by La Cresta Road. The Crestridge property, also known locally as “Oakridge” was part of a Mexican land grant known as El Cajon de San Diego or Rancho El Cajon. The name “the box” referred to the pass between two hills. Much of Crestridge shows relatively few signs of disturbance. 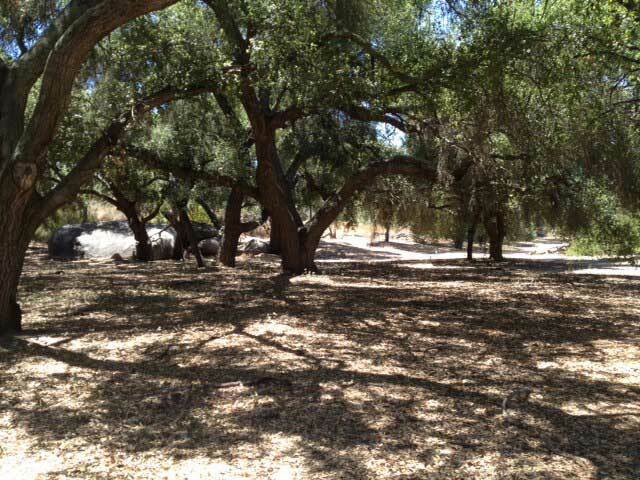 Crestridge supports mature riparian woodlands and Engelmann oak woodlands, surrounded by coastal sage scrub and chaparral. These habitats provide nesting and foraging habitat for raptor species, including the white-tailed kite (Elanus leucurus) and Cooper's hawk (Accipiter cooperi). The reserve supports a wide diversity of native butterflies and native plant species, including bunch grasses and sensitive herbaceous species. Crestridge supports the largest known populations of Lakeside ceanothus (Ceanothus cyaneus) and Hermes copper butterfly (Lycaena hermes). The coastal sage scrub habitat on the west end of the reserve may function as one of the "stepping stones" for coastal sage scrub birds, including the California gnatcatcher (Polioptila californica californica), in the Lakeside archipelago of coastal sage scrub.